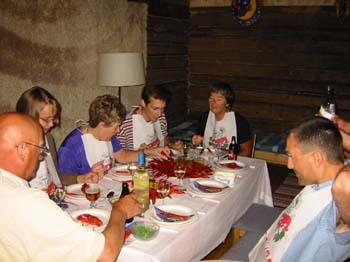 Rapu, or crayfish are a delicacy in Finland but I think it is just an excuse to drink loads of alcohol! It's messy, but when you finally get a piece, very tasty. Marvellous evening, thanks Mia and Tapani.